What is needed is a system in which there can be no question as to where anything is. Whether an item has been loaned to a student or member of staff, you still need to know where it is and when it should be returned. The problem is exacerbated by the fact that some students or staff may from time to time bring their own items to work or school. This obviously reduces pressure on the organisations equipment, but it can lead to confusion. In short, all this equipment needs to be properly logged – but ideally not by manually entering serial numbers. 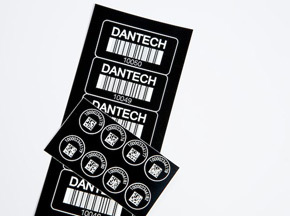 The solution comes through the use of asset tracking using asset labels like Dantech's ID Mini Mark labels which allow you to identify and track each item. Each asset label can include a serial number and/or barcode thus making it possible to contain a lot of data in a small space. Furthermore, because the data is engraved into the surface of the security label they resist chemicals and cleaning materials. Should anybody attempt to remove the asset label or switch the label onto some other equipment, the material will break into small pieces, thus announcing the fact that the label has been interfered with. 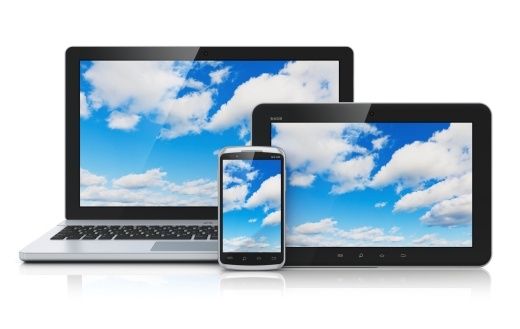 Use of these asset labels enables you to maintain a detailed register which enables anyone to instantly view which equipment is available, the expected return date and the condition before and after it has been loaned. Black material with white text or silver material with black text. Logo can be included at extra cost subject to sight of image. With a high reputation built over the years on customer satisfaction Dantech can provide help and advice with your marking requirements contact Dantech on 01354 688 488 for expert and unbiased help and advice.